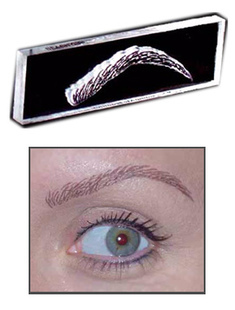 STAMP ME FABULOUS or SMF, as I am calling them, is a quick and easy way to put on your eyebrows. Go to town with the tweezers one night and just have a few lonely hairs screaming for help? Taking medication that has made them fall out? Then this is for you. What sold me on it when it was demonstrated was how realistic it looks. It really does!! This is one you have to see in person to be a believer. And what do you have to lose by trying this one out? It’s not a major money investment and it’s pretty quick to do. They have a video on their site so you can see how it all works. VS has their sale coming up in June so I’ll be sure to discretely slip her a non-descript bag with SMF inside.